In a speedy show of consensus, the European Union's three law-making institutions have agreed on new rules that will cut mobile-phone roaming charges for consumers. Digital Agenda Commissioner Neelie Kroes put forward proposals for new caps on charges and on Wednesday announced that a preliminary deal had been agreed to with the European Parliament and the Council. Although a formal vote must still be taken by the Parliament, the new agreement should come into force on July 1. Under the new rules, the cost of a call would be no more than &#8364;0.29 (US$0.38) per minute to make and &#8364;0.08 per minute to receive. After July 2014, that would drop to &#8364;0.19 to call and &#8364;0.05 to receive. The cost of a text message between E.U. countries would be no more than &#8364;0.09, and &#8364;0.06 from July 2014. The law would also cap retail data-roaming charges for the first time. The cost of downloading from the Internet on a mobile device in another E.U. country would be no more than &#8364;0.70 per megabyte from July and no more than &#8364;0.20 from July 2014. These 2014 caps will remain in place until June 2017. From July 2014, customers will also be able to choose a stand-alone roaming phone service without having to change their number. Each time customers cross a border, their phone will switch to their preferred roaming provider which they can choose at home or when they arrive. The Commission believes that this will drive down prices as customers shop around for the best deal. 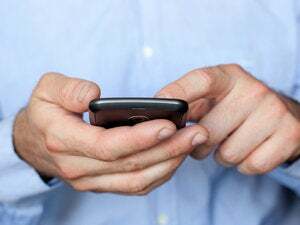 On the operator side, virtual mobile providers, which do not have their own networks, will be able to access other operators' networks at regulated wholesale prices from July 2012. In short, it appears that Kroes is standing by her word to give customers a better deal following a public spat with Vodafone CEO Vittorio Colao in February. He claimed that caps on roaming charges would cost jobs, but she said she would not be threatened.